DLB is a progressive multisystem neurodegenerative disorder with widespread alpha-synuclein (αSyn) deposits in the central and peripheral nervous system as well as within the autonomic nervous system. In addition to dementia, its distinctive clinical features are visual hallucinations, parkinsonism, cognitive fluctuations, dysautonomia, sleep disorders, and neuroleptic sensitivity. The disease has an insidious onset and progresses to death with variable disease duration of on average 6.4 years. 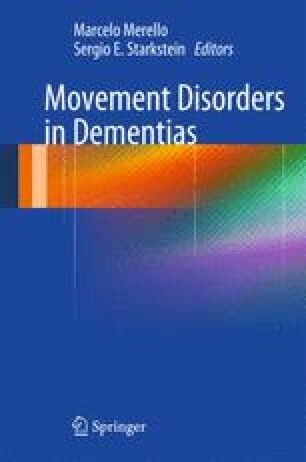 “Dementia with Lewy bodies” (DLB) is the clinical syndrome and “Lewy body disease” (LBD) refers to the pathological disease. The neuropathological hallmark of LBD is the presence of αSyn-positive neuronal inclusions in the form of Lewy bodies and Lewy neuritis. Neurochemically, DLB is associated with alterations in several neurotransmitter systems, the main changes occurring in the cholinergic, dopaminergic, and serotoninergic systems. Currently no disease-modifying therapy is available, and management is therefore focused on symptomatic relief, but the combination of extrapyramidal symptoms, neuropsychiatric symptoms, and neuroleptic sensitivity makes the pharmacological treatment of DLB challenging. The mainstay of treatment includes levodopa for the parkinsonism and cholinesterase inhibitors for the cognitive deficits. Non-pharmacological, behavioral strategies aimed at modifying stressors in the environment should be employed whenever possible. Siepel FJ, et al. (123I)FP-CIT SPECT in suspected dementia with Lewy bodies: a longitudinal case study. BMJ Open. 2013;3(4). pii: e002642. doi: 10.1136/bmjopen-2013-002642.